Systematic underinvestment in regeneration and housebuilding carries far greater consequences than merely inflating the much-maligned housing bubble. Failure to create homes and amenities in the places where people want to live and work has the potential to threaten our nation’s competitiveness − more important than ever now that our future lies away from the European Union. The housing market is not providing for those it is there to serve. Each and every home built creates jobs and generates wealth for the surrounding area. 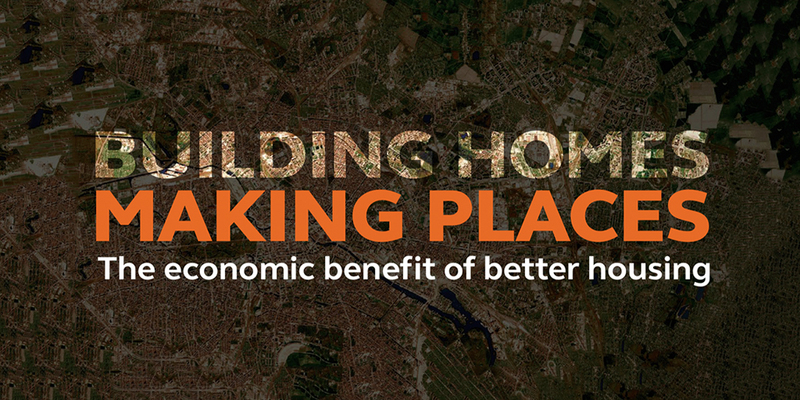 Where placemaking is effective − through well-planned towns and cities that o er good quality housing and transport links − investors, a skilled workforce and major employers will follow. Places that fail to invest in housebuilding, amenities and infrastructure will be overlooked. The newly-appointed metro mayors in regions around the country should all have regeneration and placemaking at the top of their to-do lists. However, questions surrounding lack of skills, developers’ reticence to signi cantly grow output, and punitive planning restrictions overshadow any considerable attempts at progress. One thing is certain. If we continue to do what we have always done, absolutely nothing will change. As we enter the hiatus before our eventual divorce from the European Union, Britain’s prosperity and that of its people and businesses will depend on bold, positive decisions around investment and development. E ective placemaking could be the di erence between ensuring our long-term prosperous future and missing out on the opportunities Brexit provides.